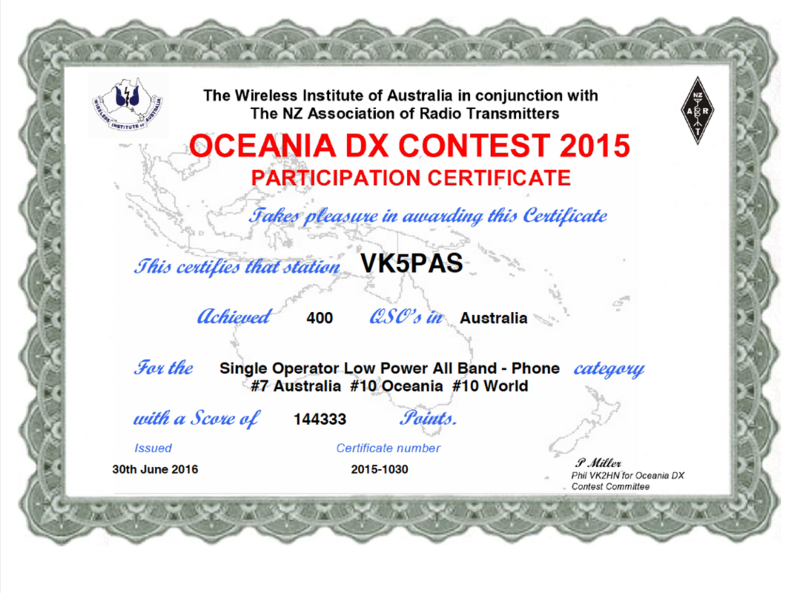 The Oceania DX Contest is one contest that I generally always enter into. 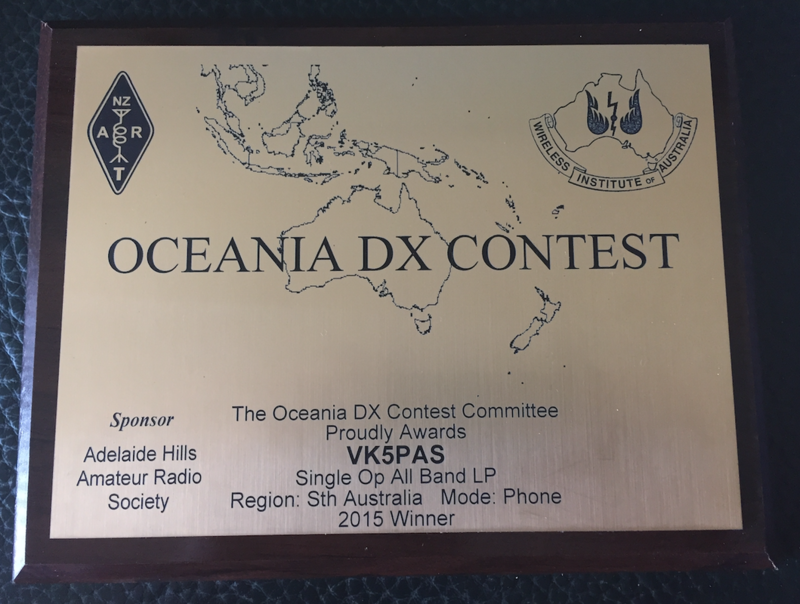 The Oceania DX Contest has been around since the mid 1930s and was known previously as the VK/ZL Contest. 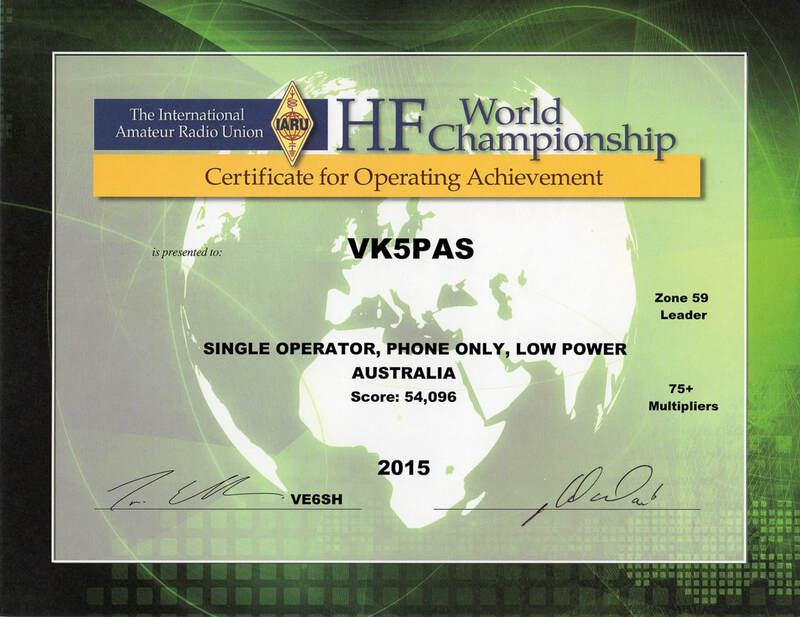 In 2015 I entered the Single Operator Low Power All Band-Phone category and came 7th in Australia in that category with a total of 400 QSOs and a score of 144,333 points. 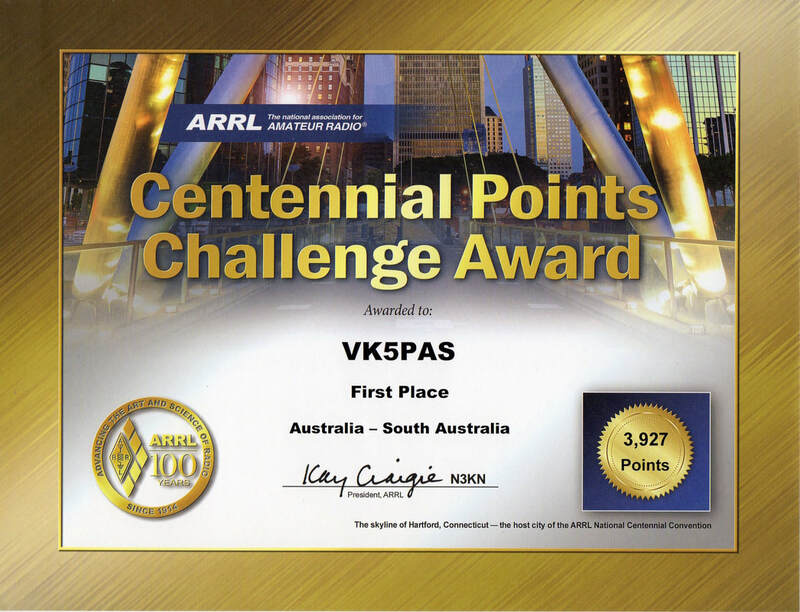 The Adelaide Hills Amateur Radio Society (AHARS) sponsors two plaques for the Top VK5 in SSB and the Top VK5 in CW. 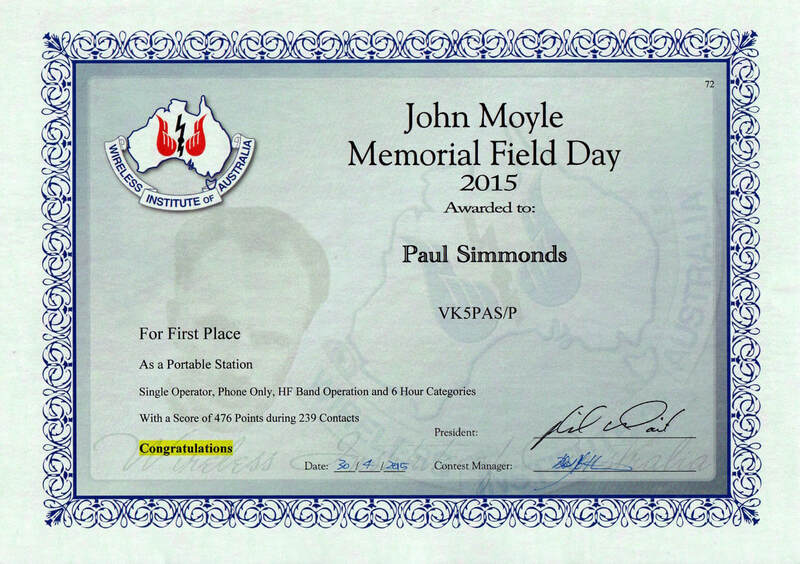 I participated in the 2015 IARU HF Championship and entered in the Single Op, Phone Only, Low power category. I ended up with a total of 174 QSO's (92 multipliers) with a score of 54,096 points. I came first in Zone 59. The 2015 VK Shires Contest was held in June. 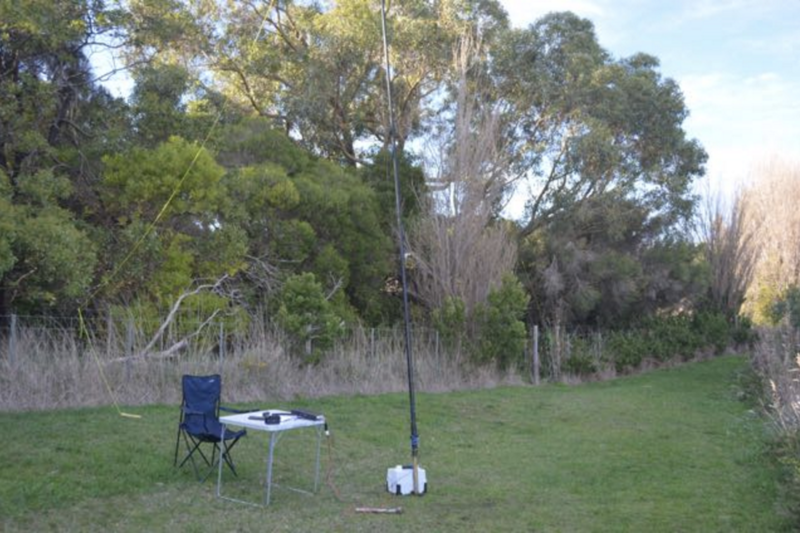 I was down at Mount Gambier for the South East Radio Group's annual convention/hamfest and the National Foxhunting championships. But I did sneak in some time for the VK Shires. 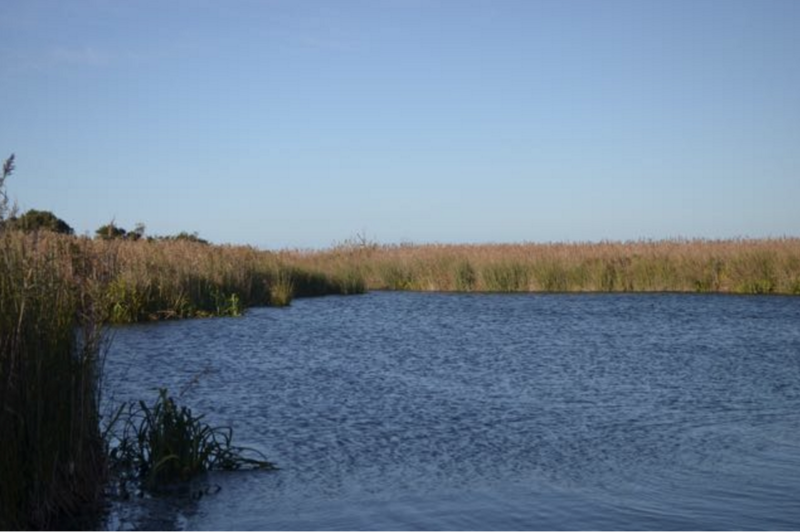 I did a little bit of mobile operation on Saturday night and activated the Ewens Ponds Conservation Park on Sunday morning. I made a score of 1,892 in the Single Operator All Band Rover High power section, and came 4th.